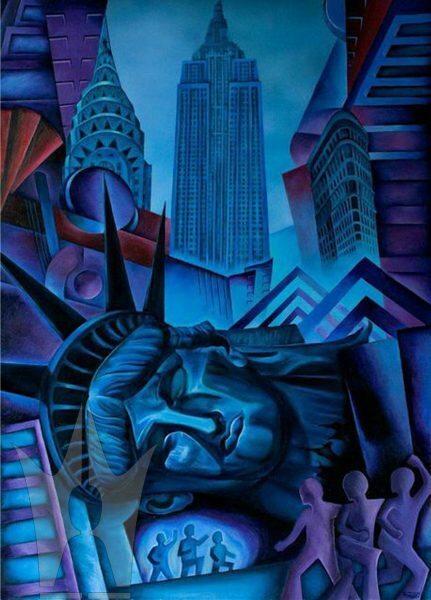 Own a SIGNED limited edition print of the award winning painting; “Liberty Fallen”. 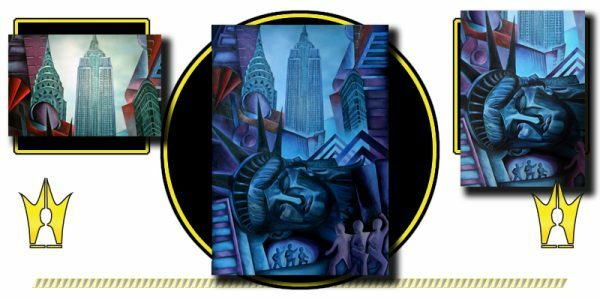 Own a SIGNED limited edition print of the award winning painting; “Liberty Fallen”. This comes from a collection of four paintings currently being created entitled “The Fall of Man”. The image is painted on a large A1 board using Acrylics. The painting is influenced heavily by Cubism but also has a Hyper- Realism aspect that blends very well with the more abstract parts of the image. The colder colours were used purposely to represent the sombre tone of the image. I have included some close-up images of the painting so that you can get a sense of the amount of detail invested in this piece.